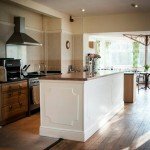 Stanley House, Eskdale is the perfect place for a relaxing holiday. 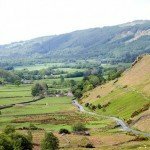 Our "Room Only" budget guest accommodation is the unique way to stay in the beautiful Eskdale Valley. 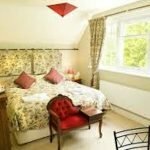 Stanley House offers you high standard en suite accommodation, however, our "No frills" and "No fuss" approach enables us to offer you a quality nights sleep with a rate that won't break the bank!! There’s lots of space from large bedrooms and family suites, to comfortable public lounges and huge gardens. 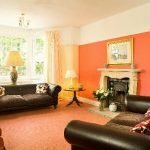 The sitting rooms are a great place to relax with a glass of wine in the evenings. 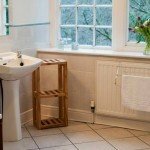 Treat the place as your own, if you want peace and quiet you will find it at Stanley House. Oh, did we mention, steam trains pass the front door! Extra beds, cots, high-chairs, can be provided on request. Family suites have two rooms (twins or doubles) and a private bathroom, linked by a small private hallway. 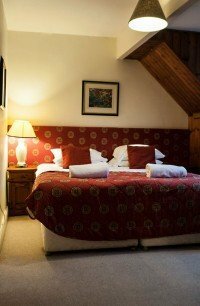 An extra bed can be added to one of the rooms for £25.00 per night. Travel cots are available for £5.00 per night. Please reserve your cot when booking your stay. Above rates are for ROOM ONLY however we can provide you with a "Help Yourself Breakfast" which includes Tea, Coffee, Toast, Cereals and Fruit Juices and full use of the open plan kitchen to prepare your own meals/snacks for £5.00 per person per day. Please note that rooms are unserviced throughout your stay unless by prior agreement. 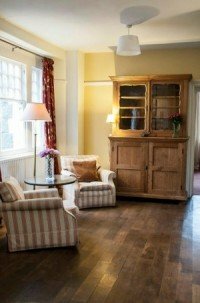 At Stanley House, once we've checked you in, you are then able to come and go as you please, we welcome you to make full use of our open plan kitchen and dining room to prepare your own drinks and snacks. If you don't like the idea of cooking for yourselves our sister property the Woolpack Inn (5 minutes up the road) is open all day from 8am for breakfast. Made to order pizzas from the wood burner oven up until 10pm! Well behaved dogs are welcome. There is a small charge of £5.00 each per night for them to stay in a first floor room with you. They are also welcome in the lounge areas and gardens, we politely request that they do not venture into the kitchen and are not allowed on the furniture. 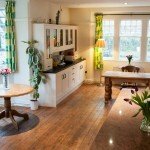 Whole house exclusive rental starts from £1000 for one night, with discounts available for longer stays. Give us a call to find out more about having your next special occasion at Stanley House. 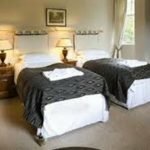 For Friday and Saturday nights, there is usually a minimum stay requirement of 2 nights, however, the odd gap does sometimes appear when we are able to accommodate a one night stay so please do contact us with your request. 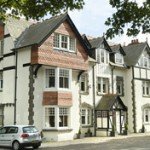 On Bank Holidays the minimum stay is extended to 3 nights, with Easter, New Year and certain other times requiring a 4 night stay. Please see our Terms and conditions before reserving.